A new collective of British manufacturers have just met to discuss how they can take more control of the future of the ailing sector. The results were very positive. Earlier this week the MD of MSE UK, Alex Henderson (a British manufacturer of medical equipment), and I organised a meeting with manufacturers to discuss how we might influence change in the sectors at this time of political upheaval. Firstly, we were overwhelmed by the response to our invitation to attend (or our call to arms, if you will). In attendance for the round table event we representatives from, what seemed like, every conceivable sub-sector of British manufacturing and from all over the country. It was clear that, as a collective of manufacturers, our specific priorities differ. That being said, there was consensus that it was an over-arching cultural change in attitude towards British manufacturing that was required. This included in change in consumer buying habits, political rhetoric and in education. It was also clear that we were all keen for the net result of any activities undertaken by the group resulted in increased sales for UK manufacturers both domestically and through export. There was further consensus that what was required was a well-funded ‘marketing organisation’ rather than a lobby group per-se. There was reference to the activities of the organisations such as the Milk Marketing Board and the Meat Marketing Board who managed to successfully change British consumer culture in the mid-20th century, the legacy of which remains to this day. It was recognised that the formation of a ‘Manufacturing Marketing Board’ would take considerable resource and infrastructure as well as requiring a long-term view but would be a worthwhile exercise. There was some concerns raised by the group about the number of differing organisations that exist claiming to be working in the name of British manufacturing. It was agreed that there needed to be some push to combine the associated efforts of these dispersed groups. However, it was also acknowledged that the differing priorities of these organisations, the commercial nature of some and the egos of those involved may frustrate a call to arms under one banner. A Statement of Intent, or mission statement, will be drafted and agreed by those present by the end of the year. Alex Henderson will offer a first draft for consideration. It was clear that, within the room, we have a powerful reach to other manufacturers and other collectives. With that in mind we will reach out to others from within our own networks in order achieve significant backing for the Statement from industry. This could be in the form a 38 degrees campaign. This will begin early in the New Year. Given significant backing a collective approach to government will be made as well as to other manufacturing representative bodies. James Bradshaw will organise some method for ongoing collaboration for the group which will allow for group input ‘virtually’. This could be a forum or another such online collaboration tool. Personally, I believe that yesterday we achieved consensus on a path to move forward. We certainly had enough passion in the room to make me optimistic that such enthusiasm will be contagious as we approach others. If you were unable to join us for the meeting but would still like to be involved please contact us directly. It sounds like some really positive steps have been made towards bringing British manufacturing back. Actions speak louder than words, and it’s pleasing to know that there are already so many companies making their goods here. 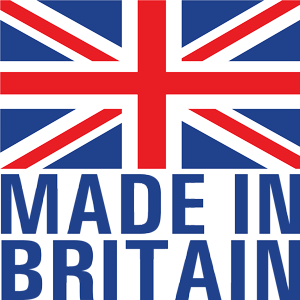 I believe that with a canpaign that continues to encourage consumers to buy British and perhaps with a focus on us all producing high quality product, there should be any reason why British manufacturing can’t be booming again soon. As a British female consumer in the 35-45 bracket, I always look at where the items I buy are from and always buy British if I can (although there is such a lack of British made products now) I feel so disheartened so when I read this I feel more positive that the issue is being addressed. As a consumer I have noticed such a lack of quality now across the board from M&S to Next and Gap I would much rather pay more from British made clothes than clothes made abroad that are just so badly made in so many cases or that the material is so thin it falls apart, the amount of clothes I now take back is ridiculous, I therefore keep every receipt and feel so let down when I go shopping to see so many British brands that are supposedly British designed but then you find they are made abroad, I have other friends who feel exactly the same so I know I am not the only 1, shoes are another 1….. I love your website as I know I am not alone. I am also a part of 38 degrees and as you say using the website as a platform I think will be a really great way of spreading a message, it is absolutely time we brought British manufacturing back to the UK it is something I feel really passionate as a consumer about so thank you ‘A truly British family’ for raisin this very important issue. Just wish our government felt as passionate about bringing manufacturing back to the UK as we do. Thank you Gordon I have actually bought from Hotter purely to support them because they are made in Britain.